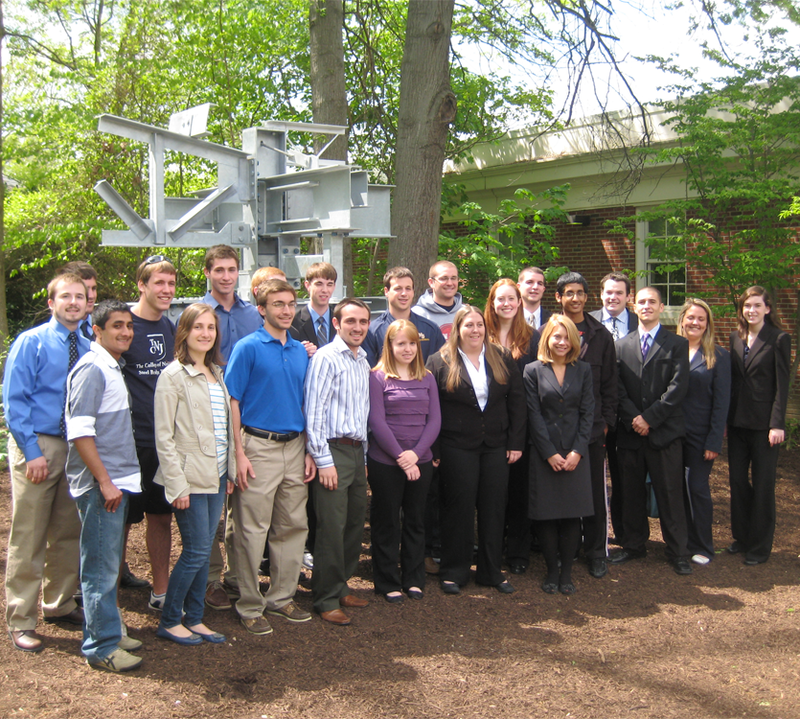 The ASCE Steel Monument installed outside Armstrong Hall is intended to highlight TCNJ’s Engineering Program. 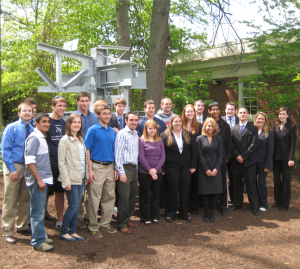 There are over 150 schools in the country that have similar steel sculptures on their campus, and TCNJ’s sculpture highlights the College’s Civil Engineering program as being among the high-ranking national programs. 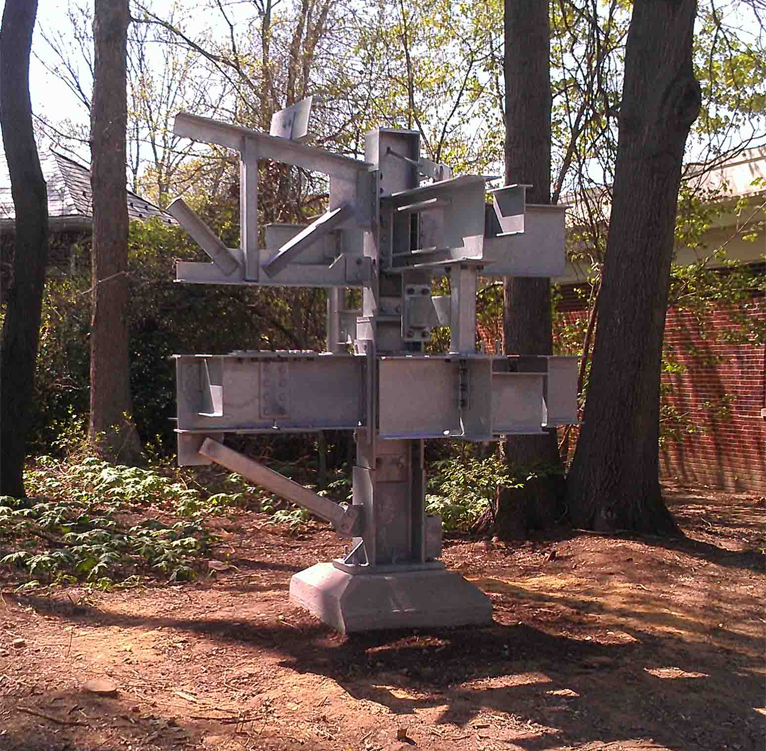 The sculpture helps distinguish Armstrong Hall as the campus’s engineering building to students and visitors alike. 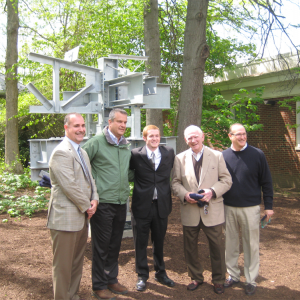 And, beyond its enhancements to the program and school, the sculpture ultimately serves as a learning tool for civil engineering students as it provides examples of beams and connections studied in class. 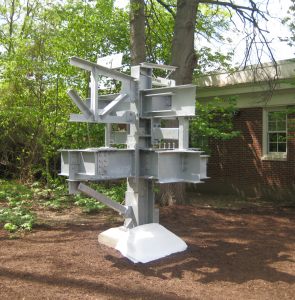 The students involved in the installation experienced the complete process behind it from design and fabrication of the steel sculpture to the foundation design and final assembly. 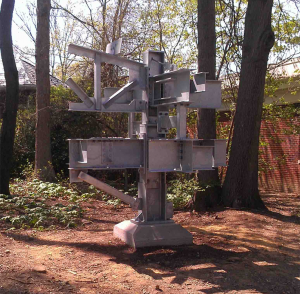 All other students, engineering and non-engineering alike, can gain from this sculpture an appreciation for structures and the engineering behind them. The fabrication and installation of the sculpture were made possible in part by Waters and Bugbee and Capital Steel Service.